Act of Remembrance | OrrWhat? Today held an interesting ‘first’ for me – two ‘firsts’, if I was being pedantic. At last year’s Remembrance Service I was preaching, and that was fine. I’m on comfortable territory with that. And it was made easier by the fact that the usual gathering of British Legion and Armed forces representatives were at a different church in the town as part of their anniversary celebrations. Having preached last year, it meant that it was my turn to take the Act of Remembrance this time – only this time with the full attendance of Legion, Forces and various local dignitaries. There are times when it has to be ‘right’ and I would suggest that this is just such a time. I know there are all the arguments about whether the church should be supporting such militaristic activities, but I would rather there be a Christian voice heard in these situations than a withdrawal and sniping from the sidelines. Hosting and participating in such activities does not imply that we condone war, but recognises that there is a distinct Christian voice which can be spoken into the occasion. Anyway, I thought I’d share the short reflection I gave at the war memorial. Spoken pretty much as written, with the odd, on-the-fly alteration (which I no longer remember exactly). As the years pass and the memories of the two world wars become barely even a second-hand memory, it is often asked whether it is still appropriate to mark this day and time, at least in the way we do. Quite apart from the fact that the legacy of those two wars still continues with us, the list of conflicts in which the British Armed Forces has been involved grows ever longer; and conflicts around the globe continue to exact a toll, both on those who are on active service and those who support them. And so I would say that the Act of Remembrance has, if anything, become even more significant; even more crucial in our present day. Remembering and honouring those who have died, those who have suffered, both military and civilian lives; remembering courage, and bravery, selfless sacrifice and duty are all part of this Act of Remembrance, and rightly so. But such an Act is also an intensely political statement – and I use that term in its broadest sense: the exercise of power and governance in a country. And as a democracy, we all play our part in that process. We, all, help shape the country we would live in, and the ethics we would live under. And so, when we join together in the Act of Remembrance, we are not simply paying tribute to those who have served in conflicts over the years. We are also saying that such events cannot be set aside; their significance cannot be diminished; they do not simply belong to the past, but are a challenge to our present reality. When we forget, we trivialise. When we forget, we diminish and devalue sacrifice. 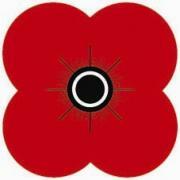 When we forget, we dishonour those who served and who continue to serve.